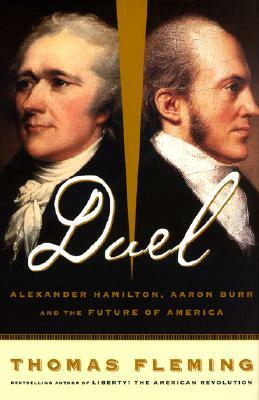 Duel is a remarkable retelling of the fatal 1804 duel between former Secretary of the Treasury Alexander Hamilton and Vice President Aaron Burr. Thomas Fleming takes the reader into the post-revolutionary world of the early nineteenth century, a chaotic and fragile time in the young country as well as a time of tremendous global instability. The success of the French Revolution and the proclamation of Napoleon as First Consul for Life had enormous impact on men like Hamilton and Burr, feeding their own political fantasies at a time of perceived Federal government weakness and corrosion. Their hunger for fame spawned antagonisms that wreaked havoc on themselves and their families and threatened to destabilize the fragile young American republic. From that poisonous brew came the tangle of regret and anger and ambition that drove the two men to their murderous confrontation in Weehawken, New Jersey. This is popular narrative history at its most authoritative, and authoritative history at its most readable--a must for readers interested in Hamilton, Burr, and America's early history. Thomas Fleming (1927-2017) was the author of more than forty books, including The New Dealers' War, The Intimate Lives of the Founders, and Liberty! The American Revolution, as well as best-selling novels about America's war experience such as Time and Tide and The Officers' Wives. "[A] stunning panorama...masterfully concise.... Duel does a scintillating job of restoring salient edges that decades of historical buffing have rounded."